Baltimore Womens Classic….always a Classic! 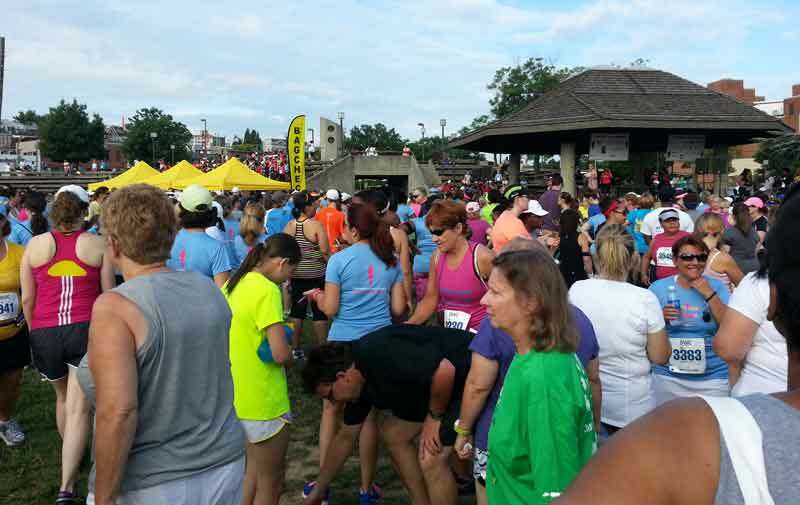 One of my favorite events – is the Baltimore Women’s Classic 5K. I’m not sure if it is a favorite because the distance is short…the course is fast…the vibe is great…or some combination thereof! Regardless, just under 4000 women of all ages and abilities – join together to walk or run a 5K and support each other. By 8AM, the temperatures were steamy – and by the time I had reached the first mile – I had already consumed all of my water supply! Fortunately, this well organized event was equipped with 2 water & Gatorade stops – and I spent time at each of them! The end of the race weaved along the waterfront promenade near Federal Hill – and it is always a grande moment to cross that finish line. Some raced, some PR’d, some just enjoyed the moment. Truly a Baltimore Classic and I’ll be looking forward to coming back next year! This sounds like a perfect event and will sign up for it next year! Congratulations on an awesome run! !